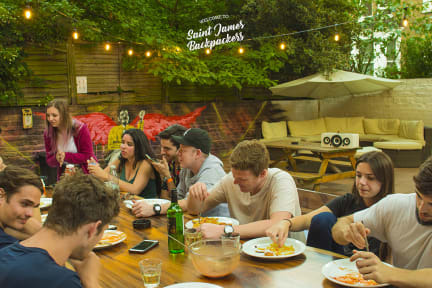 Saint James Backpackers kohteessa Lontoo, Englanti: Varaa nyt! I stayed one night in a private room this time. I was really pleased with staff and possibility to check-in a bit earlier than appointed. The hostel is situated very close to Earl's Court Tube station which makes it easy to access. I was suprised how good the facilities were in the hostel. Especially bathrooms were modern and cleanliness was high-class. Overall, I was pleased with my experience and I definitely recommend Saint James Backpackers for everyone.